I hope the title got your attention! Art in Hats starts November 1, benefitting the American Diabetes Association via Team Diabetes of SL. I am sure you think, “Why a hat? 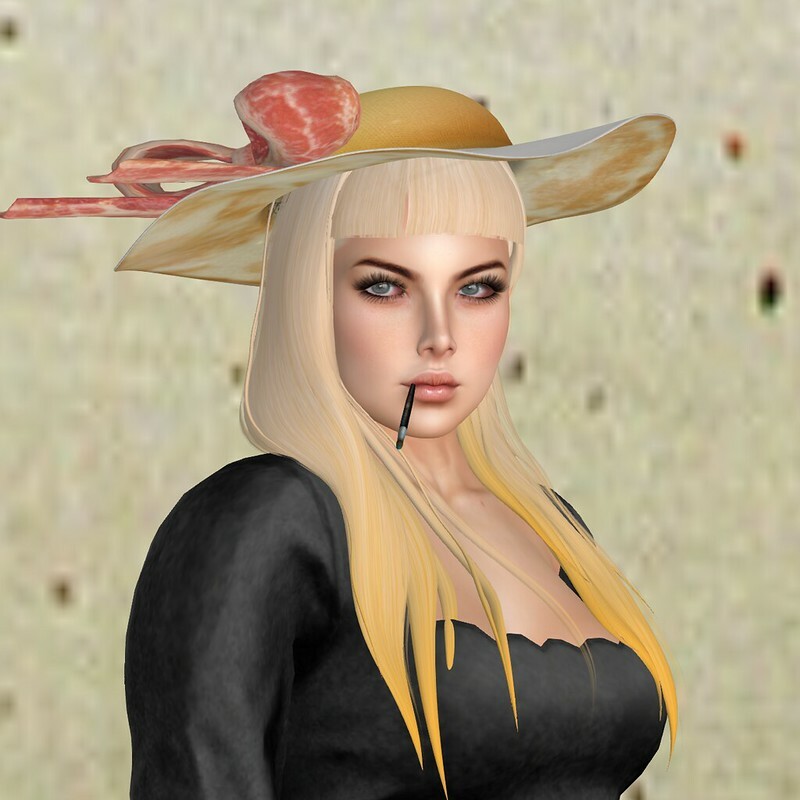 Where will I wear a hat?” I don’t go to Easter Sunday here in SL and the last really interesting hats I saw in RL were perched on Princess Eugenie’s and Princess Beatrice’s heads. 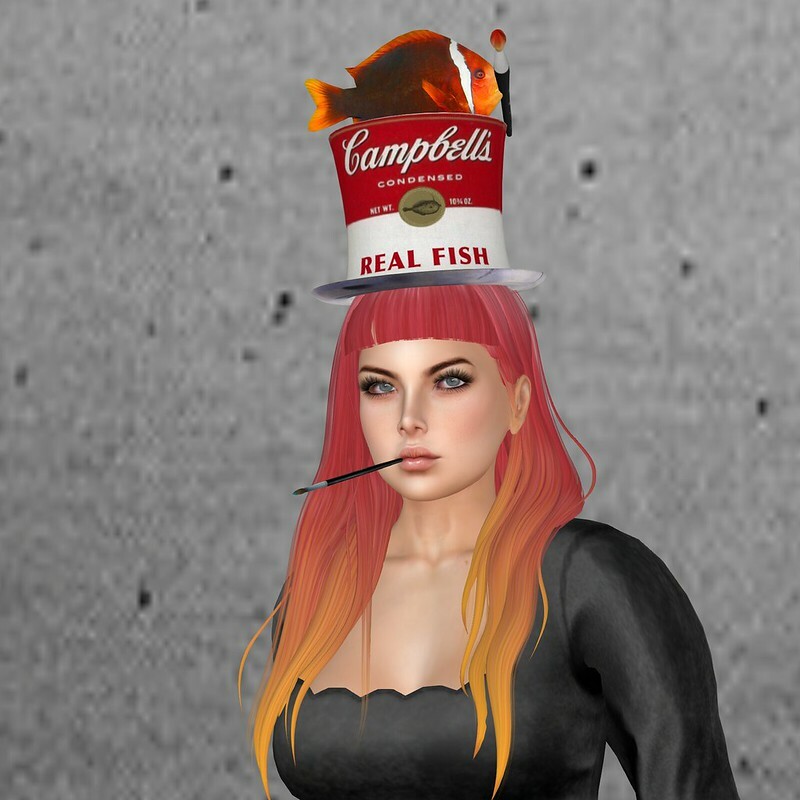 However, if you get past the utility and consider that the designers in SL are creating hats that are a wearable piece of art AND that part of the proceeds goes to Team Diabetes, you might want to purchase a few. For example, Nebraska Oddfish (palomasnow)/Dita Actor made this set of three hats that evoke famous artists (as she literally took “art in hats” to mean she needed to show art.. in hats). One hat, a surrealist’s dream, evokes Salvador Dali with its unexpected eggs and bacon theme. (And you can eat it for breakfast later!) The second reminds us of Andy Warhol’s tomato soup cans. The third is a tempest of stars like Van Gogh’s Starry Night. Made of mesh and the designer’s own textures, each hat is your own piece of wearable art. 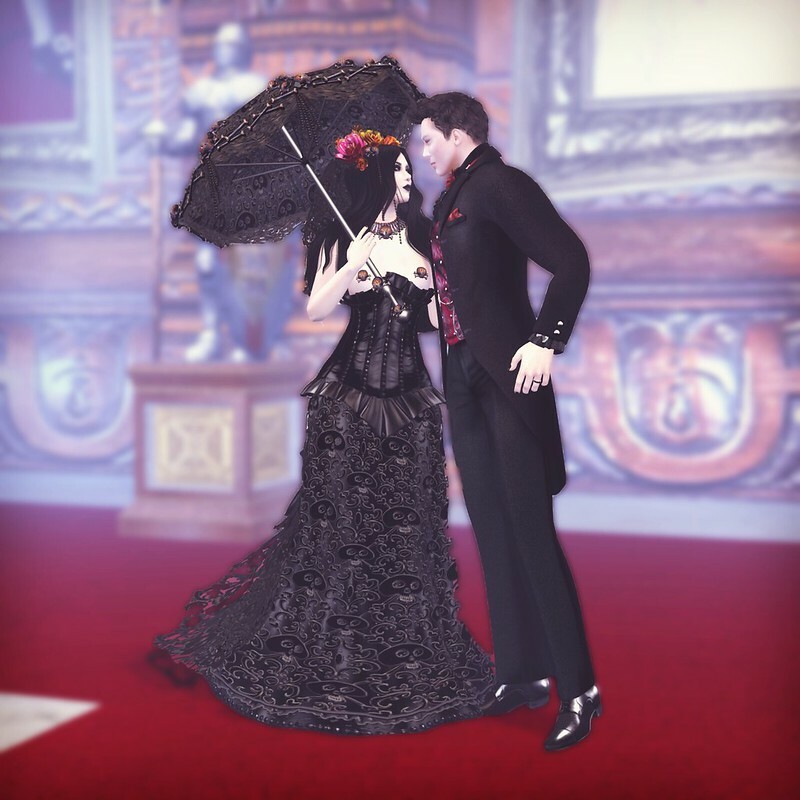 I decided to don an “artist” look, a Victorian-inspired dress from ValentinaEvangelista for Shiny Shabby which has been fit nicely to the Maitreya body. With Victorian boots from Jackal Ennui, it resembles an outfit a girl in my village persists on wearing (even to Fourth of July—really). I anticipate she will be attending a school of art and design in her future. My hair is a darling, blunt bang look from Kuranosuke Kamachi for Uber, and I exploited the dipped colors to their advantage. My skin is Inka Mexicola’s applier for the Cosmopolitan Room, which I find absolutely love on this mesh head. Are you having a few issues with some alpha interference around the eyes with this head? Catwa Clip explained to me in Flickr that the eyes have to be modified to be completely sunken for eye depth so the system lashes don’t come through and mess with your makeup. Try this! A stroll around NevaCrystall’s Baby’s Ear this autumn, and I can smell fall in the air and feel the cool breeze. Good thing I have this cute outfit from Giz Seorn, a mesh twosome from Shiny Shabby that comes I several seasonal color combos. The fit is not entirely perfect to my Maitreya body but with some tinkering, I was able to get the XXS to work with some alpha work. The textures and silhouette are great so it was not out of the question. I applied tights from Alaska Metropolitan, who sells such appliers at a steal. And awesome boots from Senzati0n Domenitzo, also at Shiny Shabby, complete this chic fall look with a leafy necklace from Mea Carnell. Nicole Button has finally brought her skins to mesh heads and she has chosen to fit them to the Catwa Jessica mesh head. With the straight nose and expressive eyes of the skin, it was a great match for this head, especially since Nicole includes several makeups with the look. My hair is MissAllSunday’s layered and tousled casual look for Uber, a “classic” cut that will serve many ladies (and possibly gentlemen) well. Oo! Welcome to your next ear worm! Adele just released her new song and of course, it’s stuck in my head. So I can’t think of another name for this blog or anything else that matter because of the song in my head. Grrr…. My skin is Aleida Rhode’s newest, which is an applier she made for the Catwa Jessica head. This is an original hand-drawn skin that comes with the applier for this specific head but she also has the Maitreya body applier, Omega body and head appliers and regular system skins. 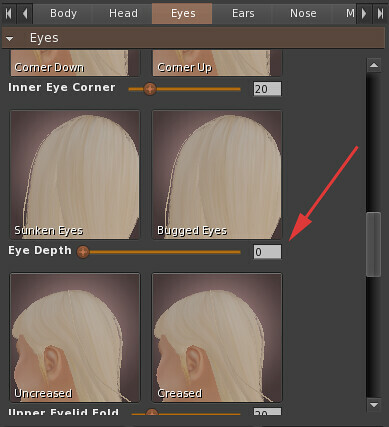 She also has a separate makeup HUD for the head, and the whole bundle is her exclusive at Shiny Shabby. Constance Daehlie made a set of very large irised eyes for the Pastel Gothic, and I thought a pair would suit this fantasy look. 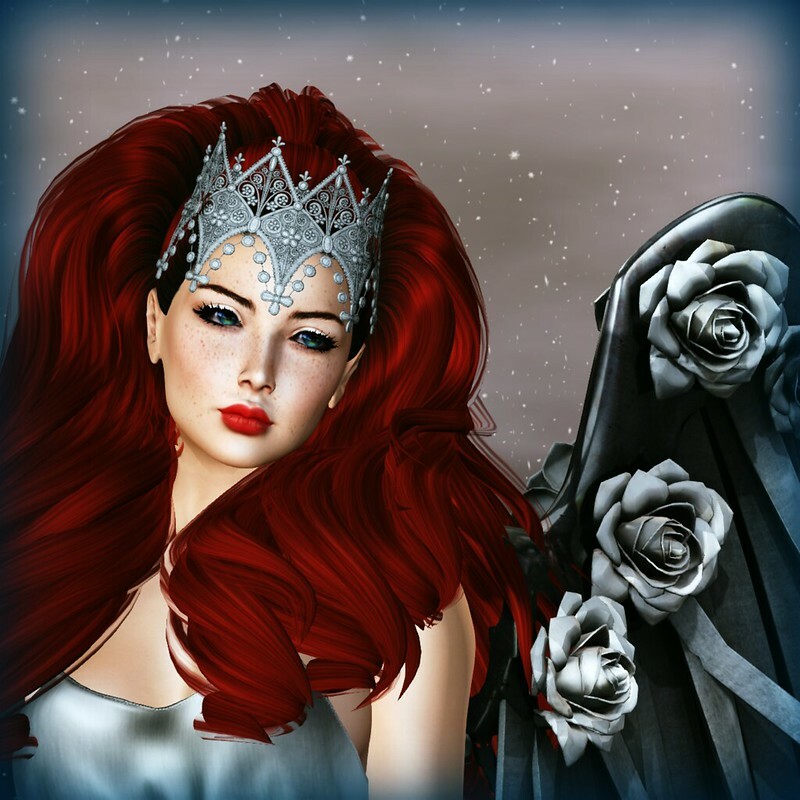 And Thora Charron just came out with this royal hair, full bodied and rich, with a gorgeously intricate separate fantasy crown you can wear that includes a color change HUD. With my greyhounds from Garvie Garzo at my side, I feel like a queen. If no sorrow, what taste happiness will provide, say? If no youth, why then heart will throb; gaily and gay? Autumn prepares to decorate the heart with haste..
Fall is rolling in with cooler temperatures. The leaves are piling up outside and while the sun is shining, the day is ending quickly now. So it’s important to grab my drop of happiness whenever I can and remember with every fall into winter, there later comes a spring to summer. I have furnished Trace Osterham’s great new skybox with new finds and pieces that I have custom colored using SL’s tinting. Big strategy for me for decorating is using tints on mod furniture and builds. If a piece of furniture is not mod, I am not a happy person. Half of what you see in these photos was tinted that way, including the cushions of Piraiyah Novikov’s daybed available exclusively in his store at Flux Sur Mer. I paired it with ArtizanMesh’s awesome chair for Chapter Four and Sofi Trenkin’s lovely décor piece that I picked up a month or so ago. Clever pillows from Sway Dench’s gacha at Geeks n Nerds add some cute humor as well as Piraiyah Novikov’s fun Simon Says game for Collabor88 on his gothic table for Gothic Diva. 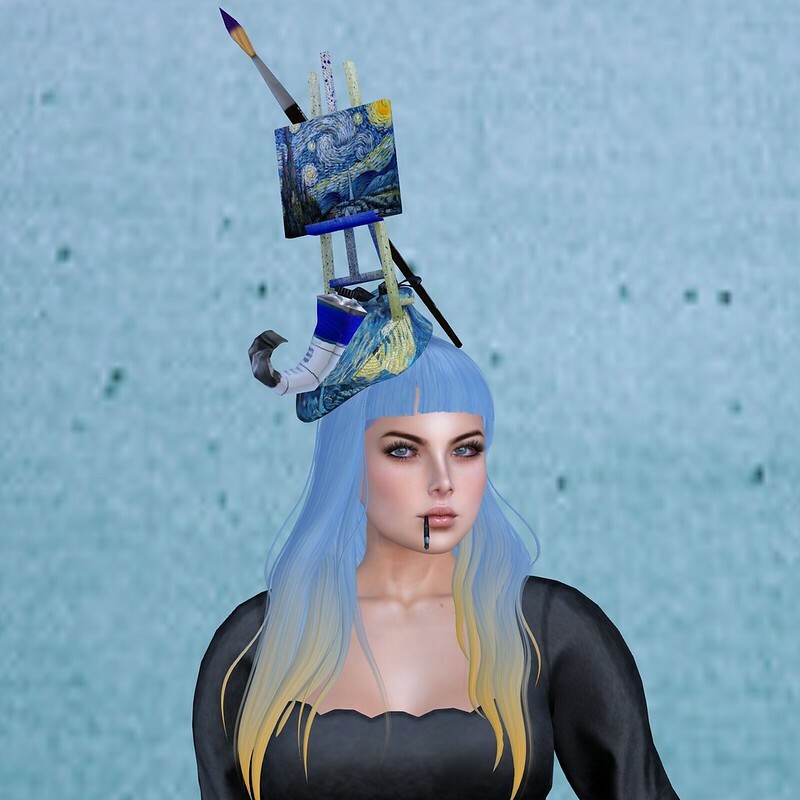 My dress is Ariadna Garrigus’ gorgeous look for the Boho Culture Fair, which opens tomorrow. She includes the very folk art wedges with them. My bestie is a grayhound from Garvie Garzo’s collection of pups at the Chapter Four. I am so glad to see her in these events because she’s a great artist! Behind me is Tyrek’s collection of potions on a shelf for Chapter Four as well and the awesome RL work of Joe Mainskreet through the avatar hibeebu at Gen Neutral. I saw the pieces on an ad and had to come get a few because they were mounted nicely and fit so well in with the mood here. Again, I custom-colored a piece from one of Piraiyah Novikov’s gachas, added Anaisterpellie’s lovely table, candles, and rug for the gacha at The Epiphany, and popped up Joe’s artwork. Again, I have Sway Dench’s darling pillows on the chair (making <3). Below. I custom colored pieces of Piraiyah Novikov’s desk and chairs from gachas at his store (I had a big of a night there with the gachas—everything is so pretty and Piraiyah is smart enough to leave things modify so I can do this) and put my laptop win by Surrealia Anatine from The Epiphany on the desk. My doggie from Garvie, whom I have decided to name Herman, stands close. Bubbles Clawtooth just came out with this casual but cute high ponytail with or without bangs (Saturday and Sunday) and I paired it with one of Inka Mexicola’s lovely skins on my own, familiar system face. Both are available at Kustom9. My necklace was a gacha pull at The Epiphany from Isabeau Baragula. First time’s a charm! tarte. pulley light – pitch by alixxbella for tarte.